marudot: Updated: 12H/24H time display, New event dialog, and export file filename. Updated: 12H/24H time display, New event dialog, and export file filename. 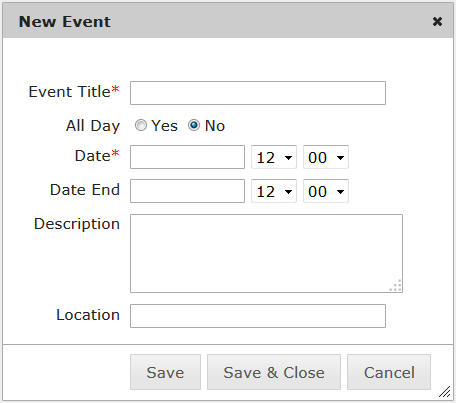 A tool to create iCal (iCalendar .ics) event file has been updated. 1. 24 Hour Clock (military time) time display. You can now choose either 12H (AM/PM) time display or 24H time display. When "Save" is clicked, the dialog will remain open to make it easier to enter multiple events at once. "Save & Close" will close the dialog after saving it. The tool will now use the "Title" field as a file name for the download. All of the changes were made possible because of the suggestions I got through the feedback I received.